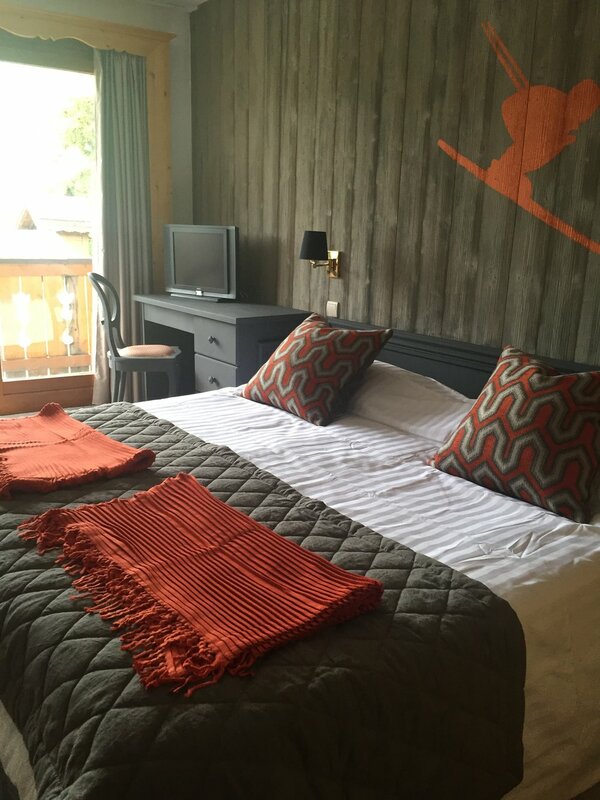 Newly-refurbished throughout for the 2016/7 season, and vying with the Annapurna for the title of Courchevel’s highest hotel, the Courcheneige offers excellent value for money for those looking for the easiest of ski-in/ski-out convenience, good food, and a relaxed atmosphere. 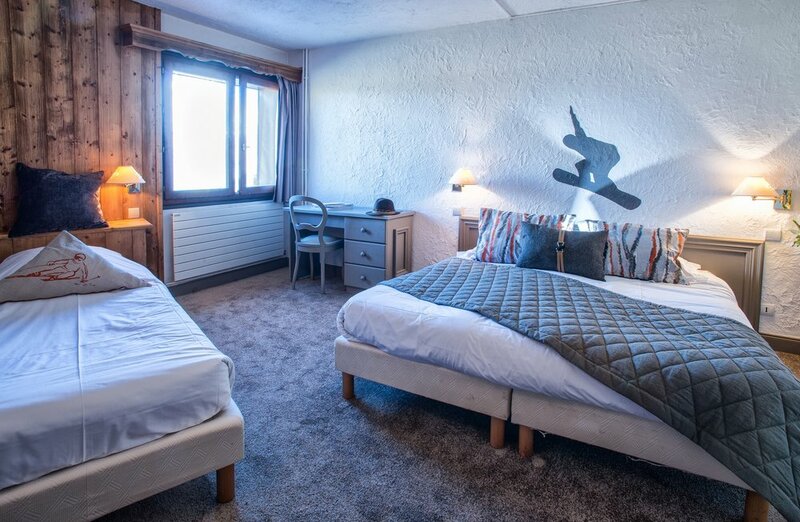 Situated alongside the gentle Bellecote piste, the Hotel boasts an enormous sun terrace with great views - a popular stop for skiers. 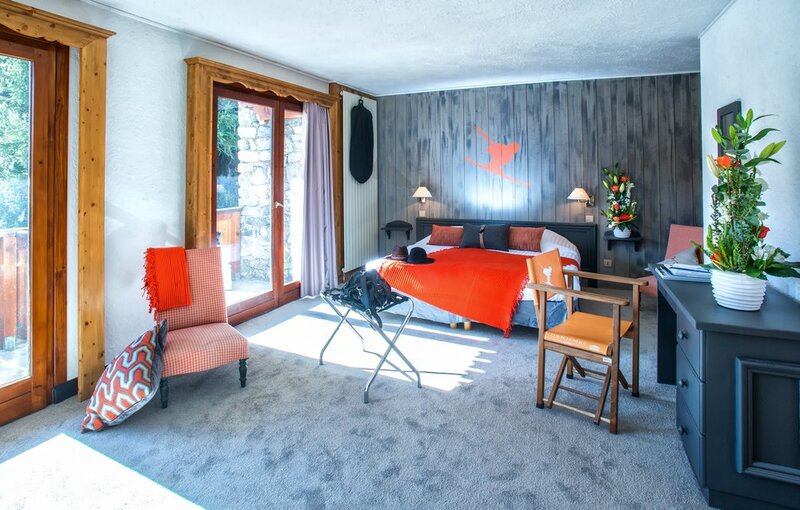 It also has one of the nicest bar/lounges in town, with open fire, beamed ceilings and comfy sofas overlooking the piste. Also new for 2016 is the pizzeria on the sundeck offering fresh slices for those on the go, as well as a huge wooden outdoor jacuzzi on the mezzanine terrace – the perfect spot in which to relax! 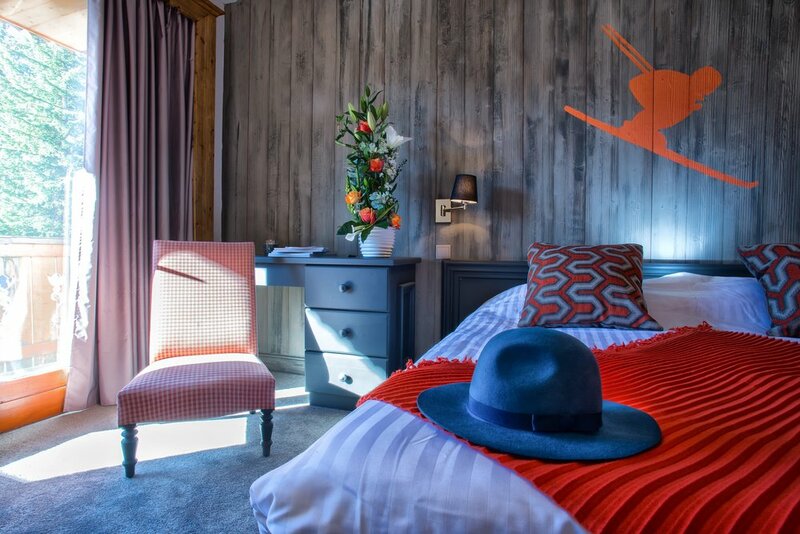 The 86 rooms and four suites – including the lovely 2-bed/2-bath Penthouse – are simply but stylishly decorated and have lovely views onto the mountains and valley. Many are interconnecting, and some have mezzanines making this an ideal spot for families. All benefit from uprated wi-fi throughout. While there are no spa/pool facilities, there is a treatment room offering various therapies and massages. Clearly, by dint of its elevated position, the hotel is some way out of the centre of Courchevel 1850 and a night out will require stout legs for the way back! There is, however, a courtesy shuttle available for the very weary. 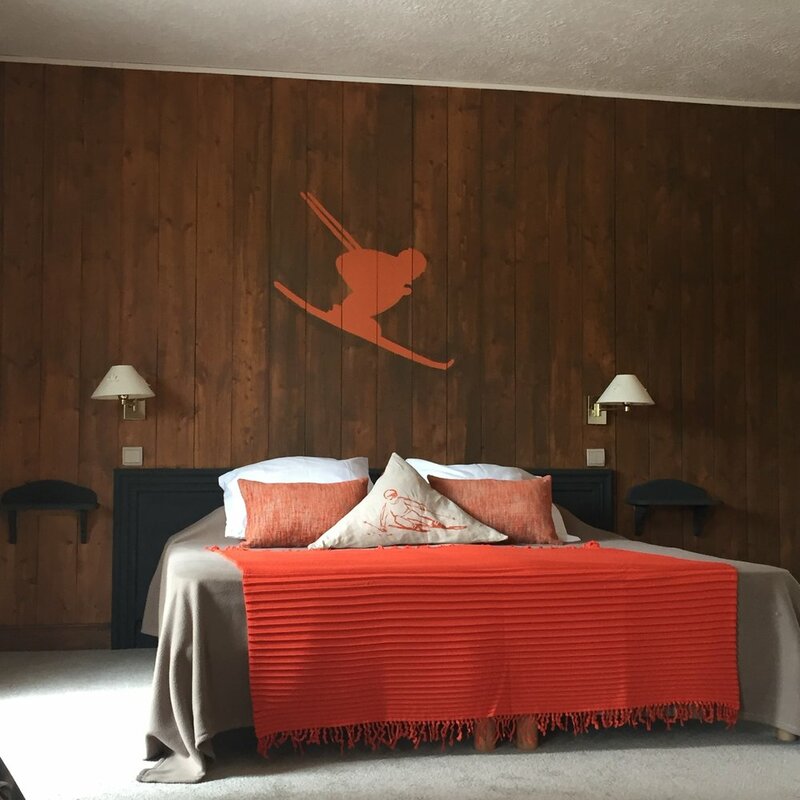 To sum up: a cheerful, friendly hotel enjoying a fantastic slopeside location and offering excellent value for money in an often expensive place. Families or groups on a budget looking for a relaxed, peaceful alternative to being in the middle of town should look no further. 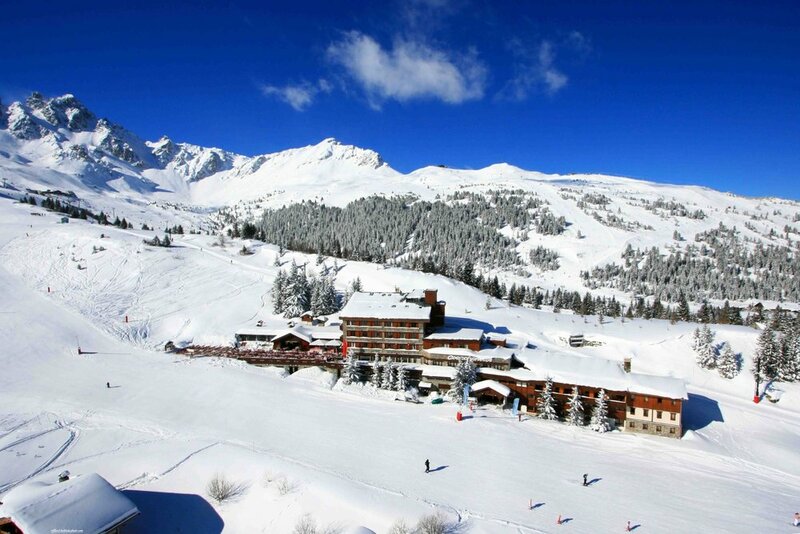 Why book your Courchevel Hotel with Exceptional Ski? Let us do the hard work, and concentrate on enjoying your holiday!